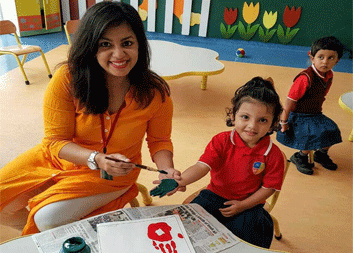 Complete with an aesthetic appeal, open spaces, spacious classrooms, and ample room for children to learn and play; Redbridge fosters creativity and holistic development through personalized attention. 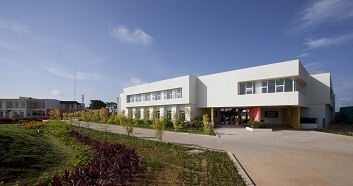 This is a state of the art international school, situated in the countryside of Bengaluru: India’s Garden City, near Electronic City. 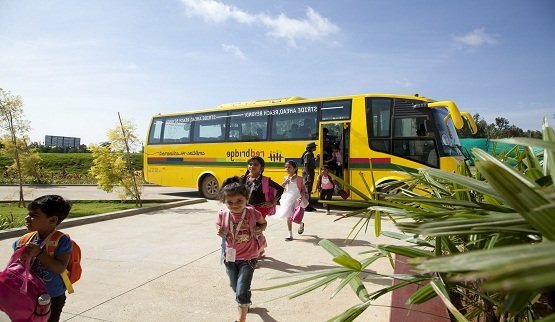 Both a day and boarding school, it is spread over a sprawling 18 acre environmentally-friendly campus. Our academic fraternity has a cross-spectrum of students and expert faculty from across India and abroad. "To mould independent, thoughtful, and compassionate individuals who will play a positive and responsible role in contributing to the progress of the country in the changing global environment"
Here at Redbridge, we are a family. Our faculty implements best academic practices in international education in shaping the educational experience. 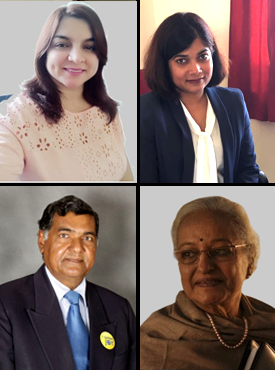 "To create and nurture a learning culture that believes in transformation through education"
At Redbridge International Academy, we have adopted integrated, interdisciplinary teaching & learning methods,with latest technology to assist in curriculum delivery. 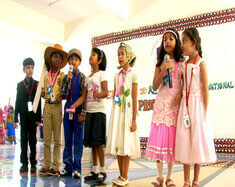 We would like to welcome you to embark on a rewarding journey with us, towards a bright future for your child. Attention: At Redbridge International Academy small class sizes helps with personalized learning. 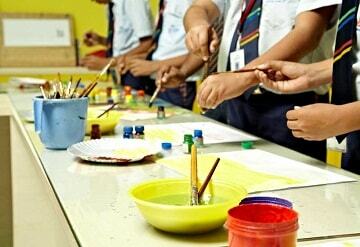 Individual attention given by teachers ensures academic and all round development of each child. 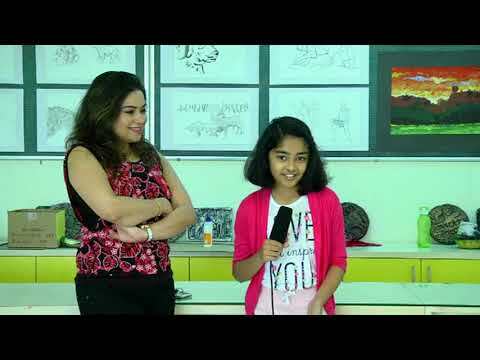 Redbridge International Academy provides an environment that enhances creative thinking and creative learning, where children are allowed to learn all subjects, using their imagination in an enriched environment. 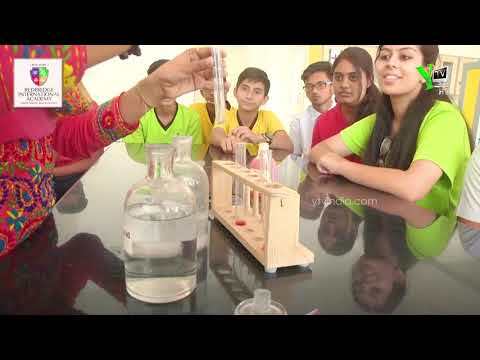 At Redbridge International Academy the ability to learn a combination of subjects in both a scientific and artistic manner ensures that children understand the concept behind each lesson. 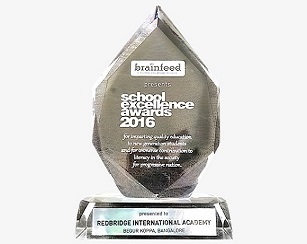 Redbridge International Academy has state of the art facilities with digital technology that utilizes creative tools in curriculum delivery. Students are engaged with game based learning, virtual reality. 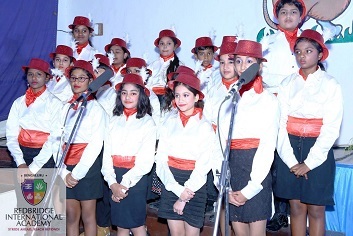 The philosophy of the Redbridge International Academy is to create a holistic learning experience where overall excellence in academics, sports, art, drama and music is promoted. 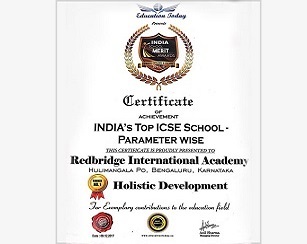 Rooted in Values: Redbridge International Academy has its educational foundation in traditional universal values of love, respect, discipline and honesty. Students essentially understand that good manners. 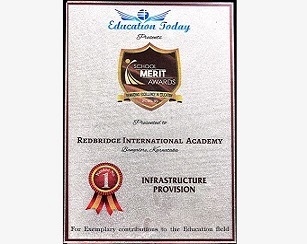 Redbridge International Academy has won several prestigious awards, by reputed organizations, in several categories including best infrastructure provision, green campus, individual attention to students. At Redbridge International Academy, students can also avail the best of both worlds by staying on campus throughout the week as boarders, and enjoy their family time at home, over the weekends. Redbridge has state of the art	infrastructure, a beautiful 13 acre school campus, combination of wide open spaces, and abstract designs on colourful walls. Spread across a sprawling 13 acre campus with lush flora and fauna, the environment of RBIA has been specially designed keeping our students in mind. Redbridge provides the children different outdoor sports facilities. In addition, Redbridge also offers a wide range of indoor sports for children to take part in. 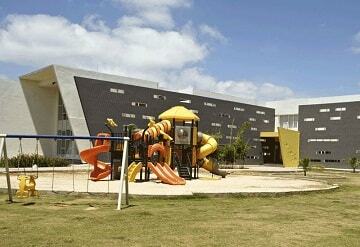 The classrooms at Redbridge have been designed to incorporate the best aspects of the natural environment. The rooms are large, well-lit, well-ventilated, and contain the best. Redbridge School Transport Management System helps to ensure the safety of our students by	getting real time information from our school vehicles. 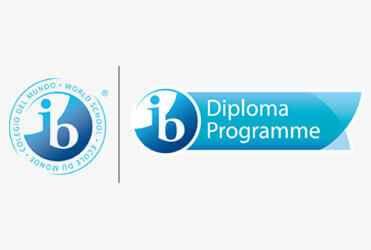 Redbridge International Academy provides a welcoming and holistic environment for our boarding students to live in. RBIA follows a “Code of Conduct" with clearly defined parameters. Admissions are open through the year; however the admission policy favors completion of all procedures by 31st June of every academic year. At the Redbridge International Academy, Teachers meet high academic standards as well as practical experience in international education. 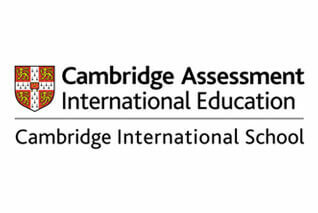 All faculties are trained in international curriculum, best practices, assessment methods and pedagogy by internationally accredited bodies like Cambridge and the IBO. 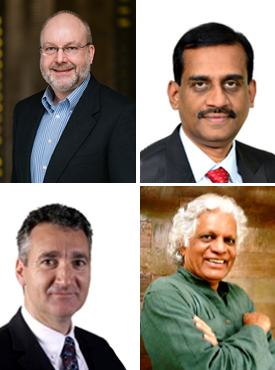 We have world-renowned education experts on our advisory board and core team. Mr. Christopher Anthony BrowneM.A., B.Sc., B.Ed. 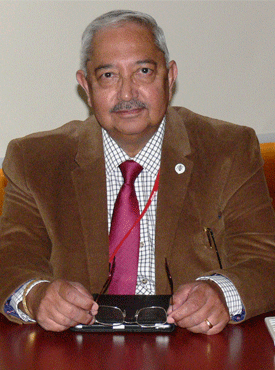 Mr. Christopher Browne has dedicated more than four decades of his life to the field of education. I am a proud Rbian. I joined Redbridge International Academy this year and have already enjoying the enthusiastic atmosphere here. We have a great school with good teachers and some amazing students. The teaching methods here are so innovative that we are able to avail practical understanding of theoretical topics in all subjects. The interactive smart boards make learning a very enriching experience. I get to learn arts, music, sports and get to participate in a lot of extra-curricular activities. I love my school! Just want to thank you immensely for the amazing work your team has been doing. I can see Sathvik improving day by day in his academics and his level of confidence. I can see that his marks are good and we are so proud of him. This is great; thanks to you all! Congratulations for the successful completion of another academic year at Redbridge. We are proud to be associated with Redbridge as Daivya's first school. 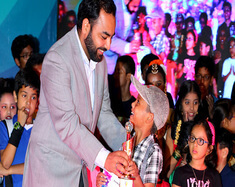 Daivya fondly remembers his teachers and all his classmates. Thank you very much for your blessings and support throughout. We checked his IEO test results online and we are proud that he secured first rank in school and fourth in state. 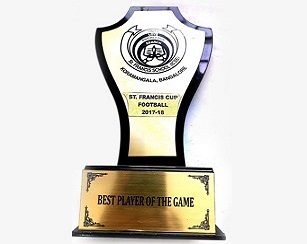 He could not have achieved this without your encouragement and belief in him. What safety features are present at the school? 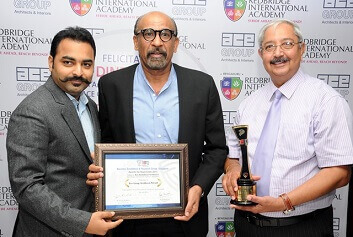 Redbridge International Academy takes safety of students very seriously and has implemented several measures to provide a safe environment to students. What are the facilities available at Redbridge? From large playgrounds to basketball arena, swimming pool, and many other facilities make Redbridge International Academy the right school for students. 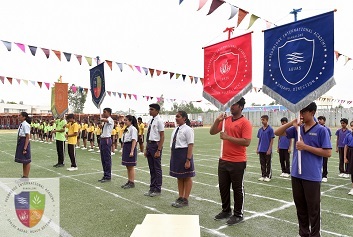 Which co-curricular activities can students take part in? 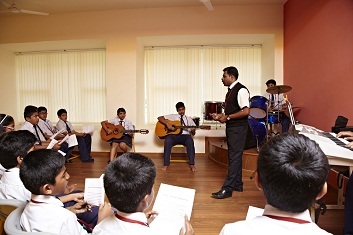 Students can take part in co-curricular activities covering realm of arts, music, performing arts, and fine arts. How is teaching done differently at Redbridge? 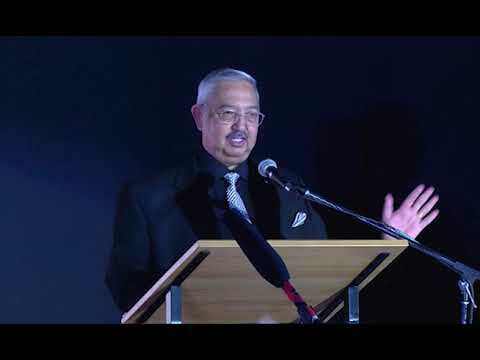 We focus on overall development of students rather than making students bookworms. 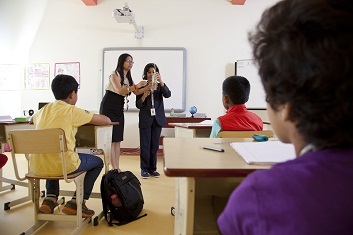 Our teaching is modern and at the same time it values importance of knowledge sharing. 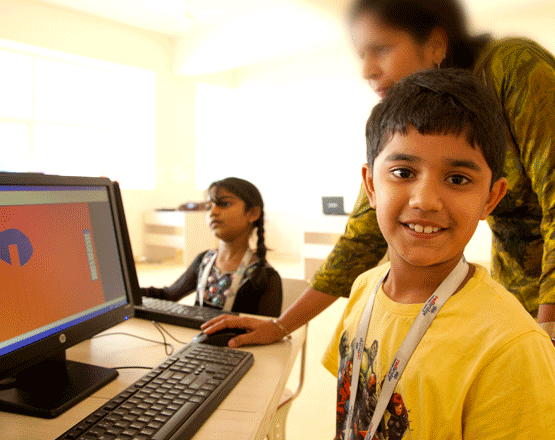 You can go through our admissions page to view all the details about the admission process we follow. 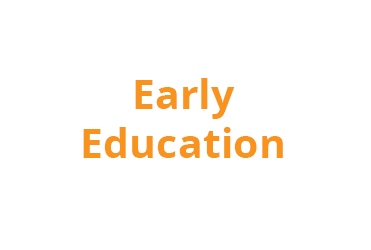 Read the latest blog posts to know what is happening in the realm of education that may affect your children and their overall growth and development. What is the Importance of Lower Teacher Student Ratio in Classrooms?